Here at Sofamovers we offer a man with a van Bristol service that will suit your removal needs, no matter how small the job at hand. When you are relocating but have only small items to move you might be tempted to try and do it yourself; this is where you would be making a big mistake. 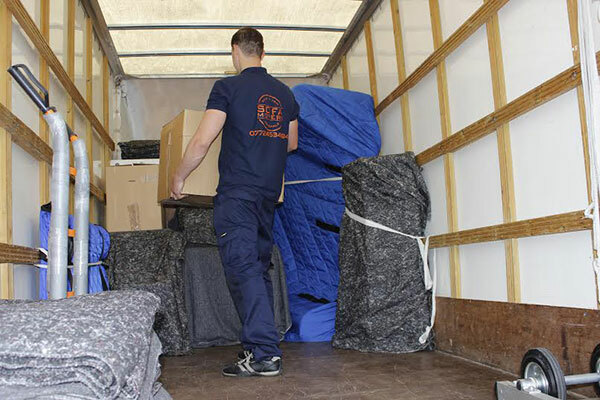 Our man with a van Bristol service is perfect for small moves, and our tailored service is on offer at an affordable price seven days a week; we work to meet your requirements and our flexibility ensures your customer satisfaction. Our man with a van Bristol service can help you move one large bulky item, help you with a student move on a budget, and you can even use our service to pick up a heavy item you have bought from a store where home delivery is not available. Use our man with a van service for items you have purchased online and you are unable to collect, our service being available not just in Bristol and Swindon but in all surrounding areas; we are also available to transport your goods to London or virtually anywhere in the country. When you are in search of a man with van Bristol Company you need look no further than Sofamovers. Our Bristol man and van service is second to none for both price and quality of service, and we provide a job that you will be 100% satisfied with at a price you can really afford. We provide a service with your needs in mind, and no matter how small the job, we can offer you with a quote that will be worth your while. Our Bristol man with a van service here at Sofamovers can really put an end to headaches you get when trying to arrange pick up/ and or collection of items that simply won’t fit in the back of your car. Why Choose Sofamovers for your man and van Bristol Service?